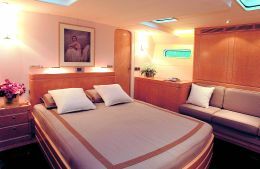 "Forzatre" is a charter company founded in 1993 by three partners with a long background in yacht chartering. Today the focal point of reference of the company's activity revolves around Paola Gatti whom we've interviewed. For further information please contact: Forzatre; via dei Devoto, 77; 16033 Lavagna (GE), Italy; tel. +39 0185 360205; website: www.forzatre.it; e-mail forzatre@forzatre.it. Mrs Gatti can you tell us in a nutshell what Forzatre does? considering each partner's widespread knowledge in the charter business we decided, back in 1993, to capitalize on it. In time the company's structure evolved but we continue to charter boats of any size whether these are motor yachts or sailing vessels. 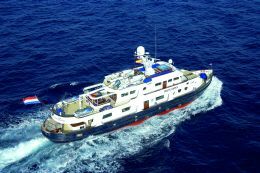 Our offer is very varied as is our structure which differs greatly specially as far as large yachts are concerned since the requirements of these types of clients are rarely the same and need adjusting to. Have your clients been induced to come back to you because of the large variety of solutions that you have on offer? Absolutely. 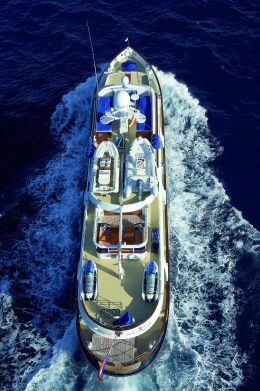 Some clients even call us in winter to ask us to suggest yachts for the incoming summer destinations. This of course helps our work considerably in finding the best solution in time for them. Another important factor that we foster lies in establishing a personal relationship with our clients since this allows us to know their tastes and expectations and indeed, in due course, this becomes a precious asset. 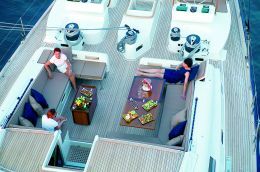 Given the proposed number of yachts and destinations, how do you acquire the necessary contacts? 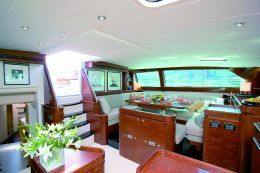 There are several opportunities, for example the Antigua Boat Show is one of them as is St. Martin and other key centres for international charters that we regularly visit. These trips are essential to our business because we're able to see the boats and meet the crews which is a must in knowing what we offer. 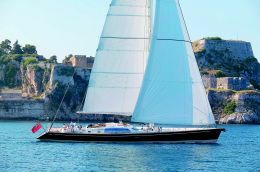 We are mainly interested in yachts that come to the Mediterranean for the summer season, we then select the type and crew to suit our requirements and only once we are satisfied that our standards are met, we put the yacht on offer. Seen from this point of view it would seem a pleasant job? In actual fact it is. Above all thanks to the clients' loyalty with whom we've established a special rapport. Of course this means that there are no fixed working hours because it is fundamental for us to be on call for those that have relied on us for their holidays. Our objective is to ensure that a holiday is only a matter of pleasure and nothing else and that's why we have reliable contacts in the places indicated that ensure that things go that way. We also trust the selected crew members, with whom we're in touch frequently a lot. Which are the cruises you suggest and which are the most sought after? Our target areas are quite classic, as of last year though, these have differed more because, out of principal our clients don't want to go there anymore due to the tax levied by the Region of Sardinia. The result has been that that there is an increase in requests for Corsica, Sicily, Campania, Calabria, Liguria, the Tuscan archipelago and France. Since most part of the large yachts we use are based on the French Riviera it's not a problem. Other destinations that have been tested first with our own boats so as to be in a position to best council our clients, might be in Greece, the Balearic Islands or Turkey. There was an increasing demand for Turkey, last year, as opposed to the Balearic Islands because of the bureaucratic difficulties that these Islands present when transiting there. Therefore every destination you suggest has already been experienced by you in the same conditions that you'll propose to your clients? Yes indeed with no exception. I strongly believe in knowing the location. I am a yacht broker but I grew up professionally in a structure that always nurtured the pleasure of selling a known place as well as the boat. Though we are not a tour operator, we'll have always cruised those waters and places before recommending them for a charter. I enjoy explaining to a client what he'll find on the spot, the things to watch out for and those that shouldn't be missed. Advice that is difficult to come by on an ordinary guide since it's the fruit of first hand experience down handed after long cruises whose main purpose was to study that very environment. Before you mentioned local contacts, could you expand? Whichever place we propose has local agencies that manage on our behalf the needs of charter boats. In other words there are companies specialised in support activities regarding logistics and boat services as well as those dedicated to the clients' needs such as organised tours, land or air transport of any kind etc. What would you advise your future clients to do? To organise everything in advance, this enables us to give them a better service and to provide them with exactly what they're looking for. Lastly who is your type of client? Mainly European, we used to have a lot of Americans but now with a weaker dollar they prefer the Bahamas and other places where they can pay in their own currency even if those places are not as beautiful as ours here in the Med. I'd say that it's a feast for a Italian.